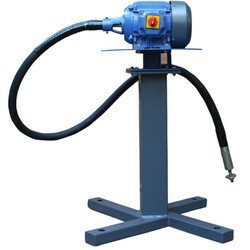 We are a leading Manufacturer of buffing machine, tyre buffing machine and flexible shaft buffer from Coimbatore, India. Owing to the expertise of skilled and experienced professionals, we are able to offer an extensive range of Buffing Machine. As per the defined guidelines; we manufacture the offered Buffing Machine by making use of best quality material and leading technology. Along with that, our quality controllers keep an eye on the complete range of Buffing Machine at every stage of production in order to eradicate any possible defect from. Road running condition, to archive a perfect concentric buff profile. 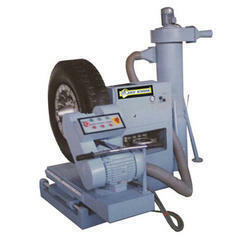 With the help of our professionals, we have been able to offer our clients qualitative range of Tyre Buffing Machine. 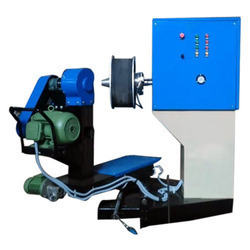 The offered tyre buffing machine is stringently checked under the supervision of quality controllers against the exquisite parameters of quality to assure hassle free range to our customers. Apart from this, the offered tyre buffing machine is broadly demanded in the market for their optimum design and industry proven finish. Range of tyres and the require buffing radius. Owing to our expertise, we have been able to offer our clients impeccable quality Flexible Shaft Buffer. This is use with grinding wheels for various grinding and buffing operations. Our offered flexible shaft buffer is designed in such a way that we are able to maintain globally accepted standards. Due to their outstanding features, this flexible shaft buffer is largely demanded in the market. Also, customers can avail the offered flexible shaft buffer from us in a wide range of specifications. Looking for Buffing Machine ?